We have found the following article on a site from the Netherlands which has a report of an RG65 open meeting that took place recently. It seems that the DF65’s gave a good showing again and excelled when the wind was up. Many of you won’t understand the words but check out the TV reporting of the event which has quite a few shots of Df65’s on and off the water. This entry was posted in Uncategorized on October 28, 2013 by Tim Long. 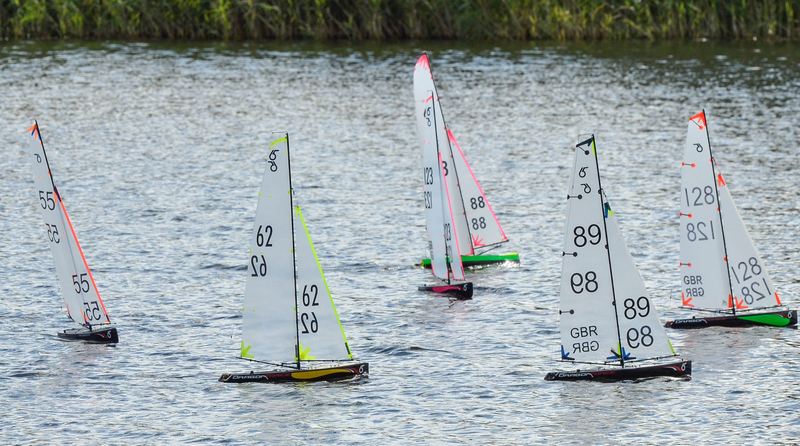 With the success of the recent Dragon Force Nationals and the numbers of boats being sold it has been decided that 2014 will see the first Dragon Force 65 National Racing Circuit. We already have a couple of venues and dates sorted however we are looking for a few enthusiastic clubs to step forward and offer us a few venues that we could hold some racing at. The aim of the series is to encourage new skippers to come and take part in some racing in the company of some seasoned racers who are willing to impart their knowledge to the next generation of radio sailing enthusiasts. Currently the dates that are pencilled in are as follows. We are currently talking to Coalhouse Fort who we hope will host an event but it would be nice to have another few venues, perhaps one down South, one in the South West and another in the Midlands somewhere who could host us and perhaps even another couple in the North. If you think your club could help then drop Tim an Email to tim@abersochboatyardservices.co.uk and we can have a chat about how your club could get involved. Don’t be put off if you think your club isn’t up to running an event, we can offer advice on that side of things too. This entry was posted in Uncategorized on October 2, 2013 by Tim Long.